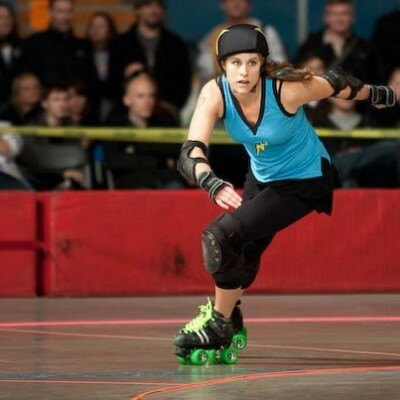 Unfortunately in roller derby, the question seems to be not IF you’ll get injured, but WHEN. 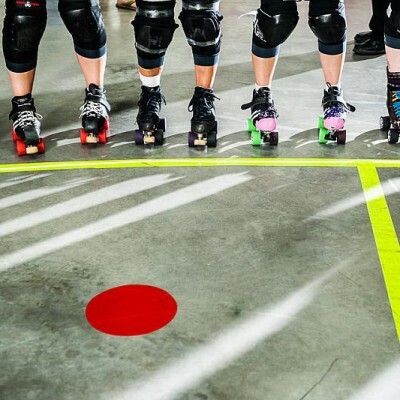 This series is an attempt to give people some tools and ideas about whom to see, and when, to get back on their skates as quickly and safely as possible. See my advice for where to start with an acute injury in Part 1. Today’s post covers the nagging, chronic, overuse injuries that plague so many of us. Chronic pain resulting from derby activity is extremely common, and can hit any old part of your body, from your big toe (bunions) to your neck (whiplash). Here are some of the more tried-and-true options to solve chronic injury, and get back to fighting form as soon as possible. #1 Rest. Sometimes the best solutions are also the simplest. 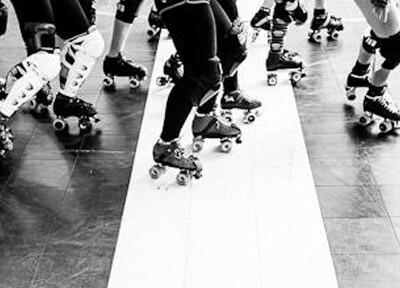 Taking a day, a week, or a month off skating (or modifying your participation in practices) can sometimes mean the difference between a few missed practices, instead of an entire missed season. Think seriously about your priorities if you’re training through pain. Ask a medical professional for advice. #2 Physiotherapy. I touched on the work of physios in Part 1. Physiotherapists can help identify underlying weaknesses that are contributing to your pain, and provide targeted strengthening to address and treat these imbalances. They also can treat your pain with modalities like TENS (transcutaneous electrical nerve stimulation) and ultrasound. Personally, I have never found either of those specific treatments to provide any noticeable benefit, but each of us is different. Some physiotherapists are also certified in acupuncture, including IMS (Intra-Muscular Stimulation) which I cover in Part 3. #3 Chiropractic care. This one is tricky; many people are skeptical of the risks and benefits of chiropractic medicine, and chiros and physios often disagree strongly on each others’ treatment plans. I have personally had excellent results with chiropractic treatments when physiotherapy wasn’t able to make a dent in my injury. In our sport, we sustain countless jolts to our spine, major falls, and sustained skating in one direction. Ever taken a hit and felt a few vertebrae ‘crack’? It’s almost inevitable that your skeletal structure will fall out of natural alignment, which can contribute quietly but significantly to chronic pain. Moreover, chiros don’t just treat the spine – they can address mixed-up movement patterns in your feet, ankles, hips, shoulders – well, pretty much any joint! My caution is this – you must find a chiropractor who is willing to discuss a treatment plan with you. She should be able to say, after an initial assessment and treatment, how many more times she expects you to need treatment, and at what interval. Beware of a doc who wants to just have you come in weekly for the foreseeable future. If you are not experiencing a steady improvement, it’s not working. Time to try something else. I also recommend asking your chiropractor to suggest some exercises and/or stretches – in my experiences chiropractors aren’t always as good about doing this. If you’re not also addressing the weakness contributing to your pain through exercise, you will take much longer to get back to skating. As I’ve warned you before, I am not trying to dispense medical advice here. If you have an injury you should absolutely, 100% seek professional medical guidance to assess and address your specific case. Coming in Part 3 – some more ‘alternative’ ways to treat your injury, including acupuncture, massage therapy, ice baths, and more. Because derby peeps love being alternative, right? I currently have an injury (pulled calf playing social tennis – yeah, I know I should stick to skating!) which I believe came about at least partially from imbalances in muscles in my legs (tight hamstring & much stronger glute on my ‘inside’ leg and weaker glute, stronger calf on my ‘outside’). So while the calf is on the mend and I expect 3 weeks or so off skates I am seeing a physio and working on identifying how I can balance each side a lot better with ongoing excercises and cross-training. I have had acupuncture before with a physio and IMS for locked and/or spasming muscles and found it worked well – looking forward to any other ‘alternative’ tips!